Chad Wackerman is just off the road with James Taylor. 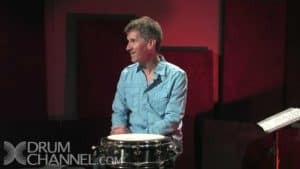 This is one of 30 lessons from our most popular artist course on Drum Channel, The Murray Spivak Method. Work on this lesson and feel free to ask him questions Wednesday live at 6PM PST.